A social media acquaintance of mine has voiced an objection to the placing of a USS Arizona artifact eventually at the Texas Panhandle War Memorial. She believes the Arizona is too sacred a place — a resting place for more than 1,000 U.S. servicemen — to be taken apart for display in other locations. I will disagree with all due respect to this person. I happen to endorse the idea of placing this artifact at the War Memorial. 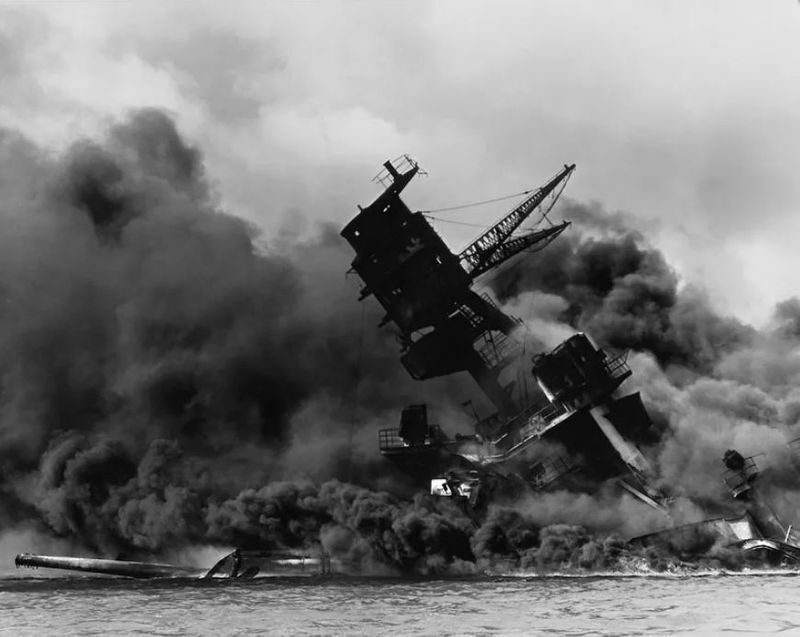 I also happen to agree with her that the USS Arizona — a World War I-era battle wagon that was sunk by Japanese bombers on Dec. 7, 1941 — is a sacred place. But the ship’s hulk that rests on the bottom of Honolulu harbor isn’t being dismantled. It isn’t being taken apart. The sailors’ remains are still interred with the superstructure that sank during the attack. Thus, they haven’t been disturbed. The USS Arizona serves to remind all Americans who came along after the Second World War of the sacrifices made by those who served in harm’s way. We all can rest assured, in my view, that the War Memorial board — along with Randall County Judge Ernie Houdashell, who engineered the delivery of the Arizona artifact — will ensure that it is displayed with all due respect and reverence. As for the ship’s hulk that will serve forever as a reminder of the “date which will live in infamy,” it remains a sacred place. AMARILLO, Texas — I guess it can be stated clearly: A piece of one of the darkest days in U.S. history is going to adorn the Texas Panhandle War Memorial in south Amarillo. It’s the product of some wheeling and dealing by Randall County Judge Ernie Houdashell, who has been working with federal and state of Hawaii officials to bring a piece of the USS Arizona to the Texas Panhandle. They’re going to add the piece to the War Memorial on Pearl Harbor Day, Dec. 7. It will arrive around 11 a.m. Saturday at the Randall County Event Center, where they’ll have a welcoming ceremony. This is an extremely poignant addition to the War Memorial, which already includes — in addition to the stone tablets chronicling the conflicts this nation has engaged in and those who died in them — an F-100 Super Sabre jet and a UH-1 Huey helicopter. It’s a date we cannot forget. We must always remember it. Judge Houdashell told me some months ago about the Arizona memento coming here. He was thrilled beyond belief to get it done. I am proud of my friend for scoring this magnificent addition to the War Memorial. Randall County has vacated its former Courthouse Annex at Georgia Street and the Canyon Expressway. However, as I understand it, the old annex might not be dark for too long. That’s my sincere hope. The Texas Panhandle War Memorial board of directors hopes to convert the annex into a chapel. It would become a place where those who visit the nearby War Memorial can go to pray, to thank the Almighty himself for the sacrifice in defense of our country made by those who are honored at the memorial. The annex once served as Randall County’s avenue for its residents who live in southern Amarillo. The tax office was there, along with a justice of the peace court; the sheriff’s department also had a small office in the annex. They’ve all moved to much more spacious quarters at the corner of Western Street and Paramount Boulevard into a building once occupied by Nationwide Insurance. Thanks to some wheeling and dealing by County Judge Ernie Houdashell, the county has now opened a virtually full-fledged courthouse operation to serve the county’s Amarillo-area residents. The new annex features about six times the space, plus a county clerk, district clerk, district attorney and a court at law operation. The old annex site, though, needs to be made functional in another form. It needs to be re-purposed to suit the needs of the War Memorial board, which serves to honor the memories of those who died in defense of our country. The memorial board is seeking to raise money to build — eventually — an interactive education center next to the garden, the granite stones and the names of those from throughout the Panhandle who have fallen in battle. Oh, how I hope the former annex site can be re-fitted and brought back to life as a chapel. Those who pay their respects to our fallen warriors need a place to pray and to reflect. My son and I were running errands this afternoon when we scooted past the new Randall County Annex on Western Street and Paramount Boulevard. I pointed to the building and told my son how proud I am of Randall County Judge Ernie Houdashell for all the work he put in to get that project completed. The annex replaces the outdated office at South Georgia and the Canyon E-Way. It gives county employees about six times the room they had in the old place. It provides county residents with a virtually full-service courthouse in southwest Amarillo, which provides the vast majority of the county’s revenue, given that most of the county’s residents live in Amarillo. Now, what about the old courthouse, the one on the square in Canyon, where the county formerly operated its government? The exterior of that building has been dolled up. The inside? It remains unoccupied. The county long ago moved most of its functions off the square into the Justice Center, formerly known as the Wal-Mart store across the street from West Texas A&M University. I told my son that the square has revived. It is thriving these days, a point that Houdashell wants known. He credits the dressing up of the old courthouse building for luring more businesses surrounding the structure on the square. The county judge, who is running unopposed for another — and likely his final — four-year term this year, has arguably just one more big project to see to fruition: finding an occupant for the old courthouse. Canyon City Hall gave the 1909 Courthouse a good look a couple of years ago, before deciding against moving; the cost was prohibitive, said City Manager Randy Criswell. I am pulling hard for my old pal Houdashell to find someone to move into the old courthouse building. He’s scored some successes already during his time as county judge: the county has built a new sheriff’s complex; it has dressed up the Panhandle Veterans War Memorial with two smashing exhibits (an F-100 Super Sabre jet fighter and a UH-1 Huey helicopter similar to one on which Houdashell served in Vietnam); and, of course, the new annex. Houdashell is a dealmaker extraordinaire. I’m hoping he can pull a rabbit out of his hat and find someone who’ll occupy the old courthouse in Canyon. The puzzle will then be complete. In just a few hours, they’re going to unlock the front door at a Texas Panhandle county complex. It will mark the beginning of a new era. As a resident of Randall County, I am delighted that County Judge Ernie Houdashell’s hard work and hard-nosed negotiating skills have borne fruit. The new annex will sit on a parcel that used to be home for an insurance firm. The firm went bankrupt and moved out. Houdashell set about negotiating with the Amarillo Economic Development Corporation to buy the building. AEDC finally sold the site to the county for $2.5 million. That was nearly two years ago. The county then tore the old building apart and has turned it into a state-of-the-art government complex. Whereas the old annex, at Georgia Street and the Canyon E-Way, comprised the tax office, a justice of the peace court and a small sheriff’s office presence, the new place is much more complete. It will contain all of the above. It also will have a county clerk operation, a district clerk office, a county court-at-law, a second justice of the peace courtroom; the district attorney will maintain a presence there as well. It’s full service, all right. Randall County’s population is around 125,000 residents; it has overtaken neighboring Potter County in size. 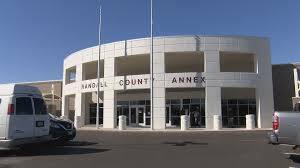 Although the Randall County seat is in Canyon, about 80 percent of the county population resides in Amarillo, providing about 80 percent of the county’s total revenue in taxes and fees. It makes perfect sense for the annex to provide more county government services for the vast majority of the county’s taxpaying residents. It saves them drive time to Canyon and provides better service closer to home. What happens to the old annex building? It will be taken over by the Texas Panhandle War Memorial board, which operates the memorial next to the Georgia Street complex. Houdashell told me the War Memorial board plans to use the annex as a chapel, while it continues to raise money to erect its long-planned education center next to the garden and the monuments that honor Panhandle residents who’ve fallen in battle in defense of our country. I guess all that’s left to say is: Well done, Ern. They’ve got some work to do yet on the new Randall County Annex building in Amarillo, Texas. But have no concern at all. They’ll get it done. It will be cleaned up and the county is moving in to conduct business as usual in late February. Donald J. Trump calls himself the master of the “art of the deal.” In reality, Trump is a piker compared to the dealmaking skill exhibited by Ernie Houdashell. The annex will replace a 10,000-square foot structure currently operating at South Georgia and the Canyon E-Way. The county is getting a 63,000-square foot facility. Houdashell said the county will occupy about 38,000 square feet of the new building. The rest of it will be available for use as the county continues to grow. “We bought this for $38.60 per square foot,” Houdashell said, adding that the per-square-foot price is a seriously good bargain. The county paid $2.5 million total for the building, which it purchased from the Amarillo Economic Development Corporation. Randall County is unusual in this respect: Its county seat is in Canyon, but the vast bulk of its business is done in south Amarillo, which makes up about 80 percent of the county’s population and provides about 80 percent of the tax revenue. “We haven’t served the people of Amarillo well” with the old annex building, according to Houdashell. 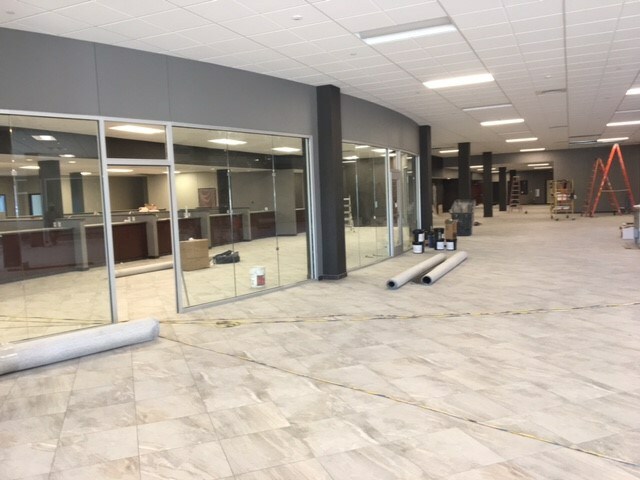 The new structure is going to contain many features missing from the old annex: a district attorney’s office, the county clerk’s office, the district clerk’s office and one of the county’s courts at law all will be located inside the new annex. The county also will have a significantly greater space that it will use as voting center. Whereas the old annex often required voters to stand in crowded spaces waiting to cast ballots — or to wait outside occasionally in inclement weather — the new site will provide a much more customer-friendly environment. Houdashell explained that state law prohibits state district courts from operating outside the county seat; thus, they will function exclusively in Canyon — with the courts with jurisdiction in Potter County also operating in Amarillo. My brief tour of the new Randall County Courthouse Annex gave me a glimpse into the future of the county. The courtrooms will be fully secured, as will the main public entrance. I have to say that I am mighty proud of my friend Ernie Houdashell. He is running for his fourth term as county judge. He is unopposed in the 2018 Republican Party primary and, given that there are zero Democrats running for public office in this heavily GOP county, the judge is assured of another four-year term. Oh, the old annex building? 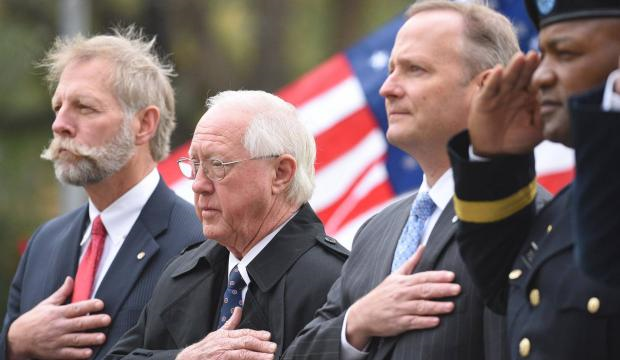 It will be given to the Texas Panhandle War Memorial foundation, which will use it as a chapel while it raises money to build an education center alongside the garden and the memorial to those Panhandle veterans who have fallen in battle. I don’t know what lies ahead for the judge once the new annex opens its doors to the public on Feb. 26. I have this hunch my old pal might have another deal or two to strike before he calls it a career. First responders are back in the news. They’ve answered the call in recent days to assist along the Texas Gulf Coast. They are responding at this moment to those who’ll need them in some U.S. territories in the Caribbean and in South Florida. They answer the call daily when homes burn, when motor vehicles crash or when people suffer an assortment of medical emergencies. 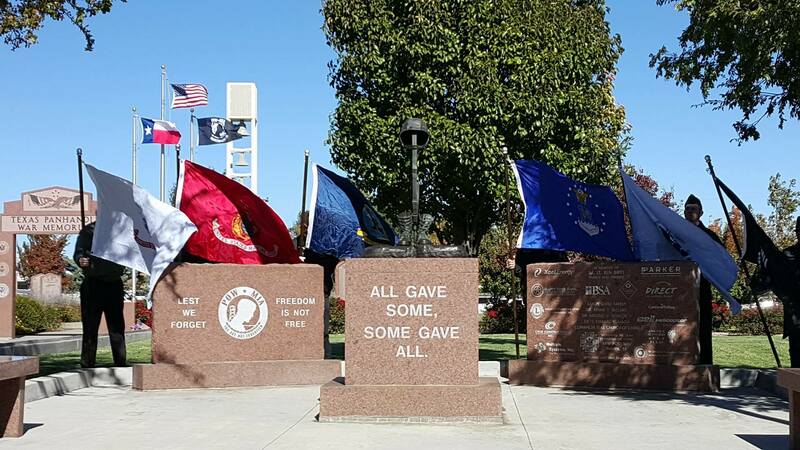 The Texas Panhandle War Memorial is going to play host on Monday to a ceremony commemorating the 16th year since the 9/11 attacks on our nation. It starts at 8:45 a.m. at the memorial grounds, next to the Randall County Courthouse Annex on South Georgia Street and the Canyon E-Way. I feel the need to speak about those individuals. We ought to honor them daily, maybe even hourly. We should thank them when we encounter them. The War Memorial seems a fitting place to honor them. After all, the memorial offers tribute to those who gave their last full measure in defense of the nation. Those plaques that surround the garden contain the names of the fallen from the Texas Panhandle dating back to the Spanish-American War of 1898. When you think about it, those are the names of first responders of another kind. They went to war. They fought and died in defense of the nation they all loved. I admit to being not as faithful in expressing my own gratitude to first responders — the firefighters, police officers, the emergency medical techs, the military personnel. We see them all the time. My wife and I — on occasion — have paid for service personnel’s meals. But we all ought to extend a hand when we encounter, say, firefighters shopping for groceries at the supermarket or police officers having lunch. You get the idea. They perform a unique service to the public they serve. They run toward danger when it presents itself. I am left to use this forum to offer a simple two-word salute, which I know is insufficient. My sappiness is a pretty well-known quantity to those who read this blog. It was on display again today as my wife and I attended a Memorial Day ceremony at the Texas Panhandle War Memorial. The event drew a substantial crowd, which is no surprise to be sure. Many of the men in attendance sported their gimme caps proclaiming their own service to the nation. I wore one of mine and did so with considerable pride. The aspect of the hour-long ceremony that brought a lump to my throat is the kind of thing one sees these days at events commemorating military service. It’s when the band strikes up the anthems identified with various military branches. The emcee asked those who served in that particular branch to stand and be honored while the music played the pertinent anthem. That part of the service began with “The Army Goes Rolling Along.” I got to stand. It does fill me with pride. I am unafraid to acknowledge it. It was a great way to start a day full of remembrance and honor for those who paid their last full measure of devotion. We owe them everything. I am grateful them all now — and for eternity. My wife and I are going to spend part of Memorial Day doing what all Americans ought to do. I don’t mean to hold us up as paragons of patriotism, but our plans for the day include a visit to the Texas Panhandle War Memorial, next to the Randall County Courthouse Annex at Georgia Street and Interstate 27 in Amarillo. Yes, we’re going to grill some burgers later in the day … but first things first. There will be a ceremony at 11 a.m. honoring those who have fallen in defense of the nation we all love so dearly. I’ve been blessed in countless ways, all beyond measure. One of those blessings includes a sparse number of friends, acquaintances and loved ones who have perished while serving in time of war. I haven’t lost any of my buddies from my childhood who went to war in Vietnam. But I’ll remember a particular fellow I did lose one day in June 1969. I’ve introduced you to him already on his blog. His name was Jose De La Torre. He was from Fullerton, Calif. We served in the same U.S. Army aviation battalion in Da Nang. I was assigned to a fixed-wing unit. De La Torre served on a Huey helicopter crew and manned an M-60 machine gun when the ship flew. He took off one day on a “routine” troop lift. However, the landing zone was hot, full of enemy forces who opened fire on the ships delivering troops to the battlefield. De La Torre was one of those killed in action. I’ll remember him and will pay tribute and honor to all who have died in service to our country. The Panhandle War Memorial pays tremendous honor to those Panhandle residents who gave their last full measure of devotion. I was honored to have had a hand in producing the exhibit. I was awarded the task of writing narratives about many of the conflicts that are profiled there, dating back to the Spanish-American War of 1898. This blog post, however, is about the individuals whose names are inscribed on the stone tablets. They answered their nation’s call. There’s an inscription at the memorial that tells us that “All gave some, some gave all.” These proud Americans gave all they had. They are heroes — every one of them — in the truest sense of that overused word. I have been commenting from time to time about the extreme makeover under way in downtown Amarillo. Given that I don’t get out quite as much as I did when I worked for a living, I recently discovered another makeover project for which many Randall County employees — and perhaps residents, too — have been waiting. We were driving south on Western Street when I shot a glance to the right and noticed a building that used to house an insurance company. Eventually, it’s going to house the Randall County Courthouse Annex. Work on the building is well under way. County Judge Ernie Houdashell told me some weeks ago about the purchase of the old Nationwide building and the realization of his longtime effort to relocate the county annex from its cramped quarters at South Georgia Street and Interstate 27. I give Houdashell a huge dose of credit for bringing this project together. He had dickered and bickered with the Amarillo Economic Development Corporation to sell the Nationwide structure to the county. AEDC apparently had some issues that it was able to resolve with the county. So now the county owns the structure and is refitting it to meet its needs. The annex does the vast majority of the county’s tax business, even though the county seat is in Canyon, about 15 miles south of Amarillo, which straddles the Randall-Potter County line. 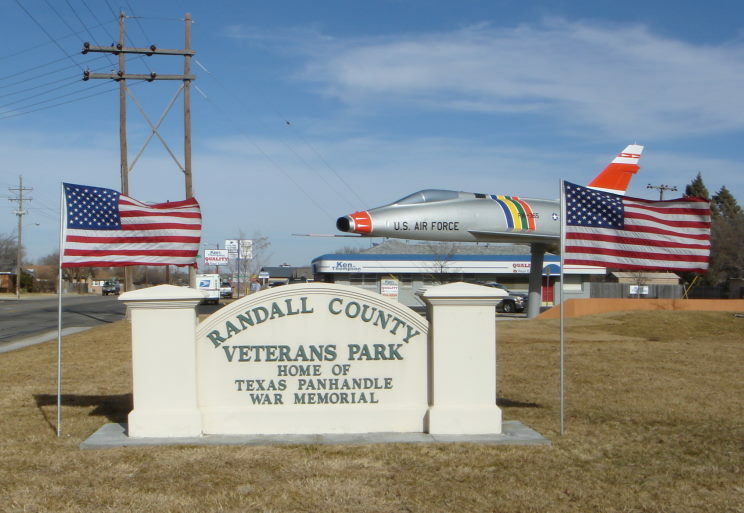 Amarillo contains about 75 percent of Randall County’s population and generates about 80 percent of the tax revenue used to finance county government. The annex will include the auto registration operation, along with a sheriff’s department presence and Precinct 4 Justice of the Peace court. I cannot recall the precise square footage increase that the county will get in the new structure, but I am aware that it’s going to be substantially more than it has at the Georgia Street site. What’s going to happen to the current annex building? 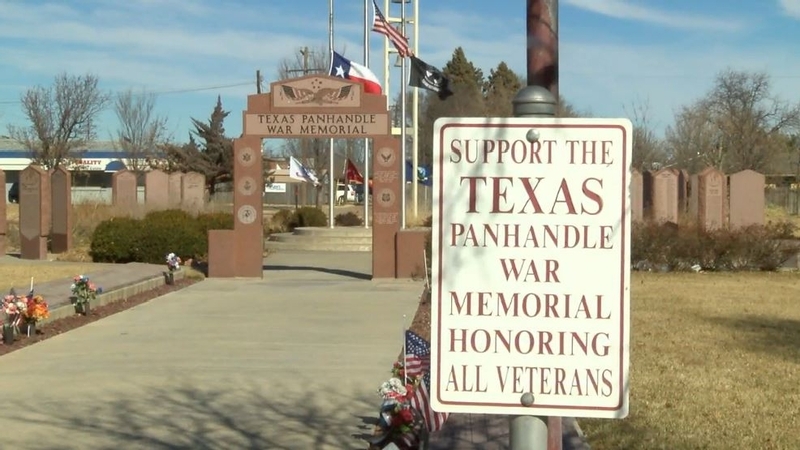 Houdashell hopes the county can deed it over to the Texas Panhandle War Memorial, which is in the process of raising money for its new interpretive center. Houdashell, always the dealmaker, already has added an F-100 fighter jet to the War Memorial grounds, along with a Vietnam War-era UH-1 Huey helicopter, the kind of ship on which Houdashell served during the Vietnam War. Yes, the downtown work is important to Amarillo and will bring tremendous value to the city over time when all the work is done. It’s not the only place, though, that’s undergoing a serious change. I will look forward to watching the courthouse annex work progress — along with Randall County’s continuing evolution.